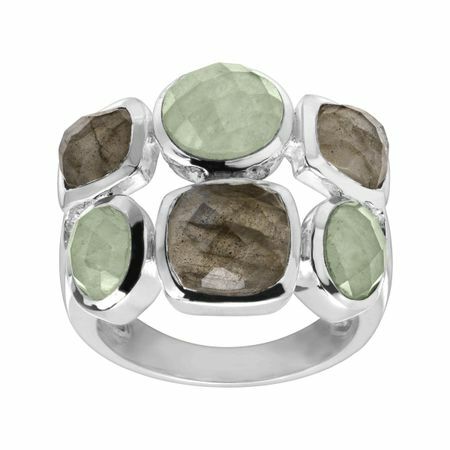 Soft green and grey-brown tones make this ring versatile enough for any outfit. Green aventurine and stony labradorite make for an effortless pair in quality sterling silver. Ring face measures 3/4 inches in width.